Ballarat Accommodation in the centre of Ballarat City's CBD. 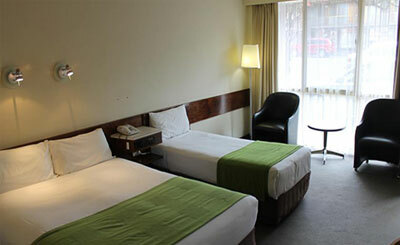 The choice hotel for your Ballarat conference, business, wedding or tourism experience. Stay at the Ballarat Mid City. Visit Ballarat tourism and experience the best western Victorian tourism city. BALLARAT The Greatest Victorian City! See Ballarat come to life. Spacious room with a queen bed, ensuite bathroom, minibar and individual climate control. Free parking and Free in-room coffee and tea making facilities. Minibar, toaster, iron and ironing board. Value for money accommodation in Ballarat. 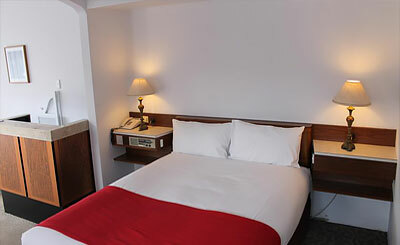 Spacious room with a king bed, ensuite bathroom, minibar and individual climate control heating cooling. Suitable for business executives or travellers looking for accommodation in Ballarat. Bed and Breakfast. Rates are for 2 people. Breakfast included. 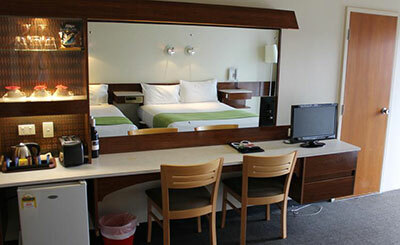 Spacious room with a queen and a single bed, ensuite bathroom, bar fridge with non-alchoholic drinks. The room caters for a maximum of 2 adults, and a maximum of 1 child but cannot exceed 3 guests in total. Suitable for couple with a child on a family trip. 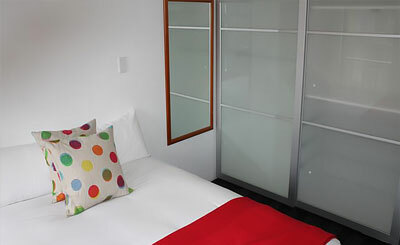 Spacious room with a queen bed and 2 single beds and ensuite bathroom, bar fridge with non-alchoholic drinks. The room caters for a maximum of 2 adults, and a maximum of 2 children but cannot exceed 4 guests in total. Enjoy a family holiday getaway in Ballarat and visit historic Ballarat attractions. Interconnecting Hotel rooms with either a queen and two singles or a queen and single in each room. Two bathrooms one with a bath. Microwave available on request. Great accommodation in Ballarat for family and friends travelling together. Excellent, fully self contained apartment with 3 bedrooms in the heart of Ballarat. Fully equipped kitchen with dishwasher and full size fridge. Iron & ironing board. Air conditioned with heating.